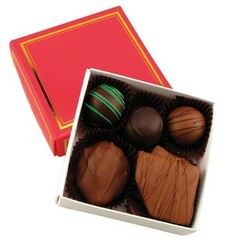 3oz box filled with 2 chocolate candy truffles, 2 milk chocolate candy toffee confections and 1 dark chocolate candy pecan caramel cluster confection. Choose your truffle flavors. 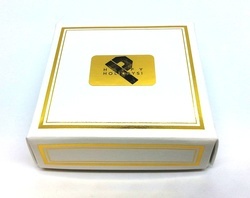 Secured with choice of gold or silver stretch band ribbon. 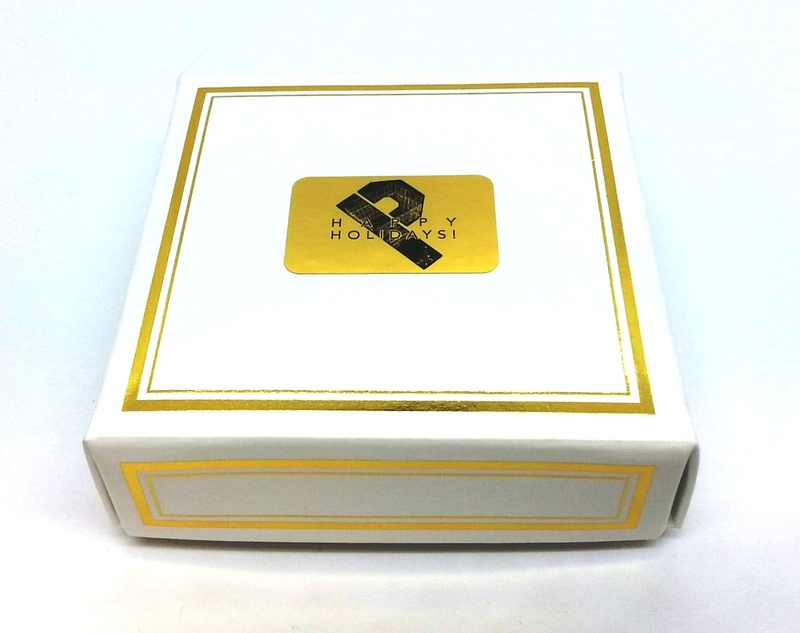 Box colors: white w/gold trim, black w/gold trim, red w/gold trim, and silver w/silver trim. 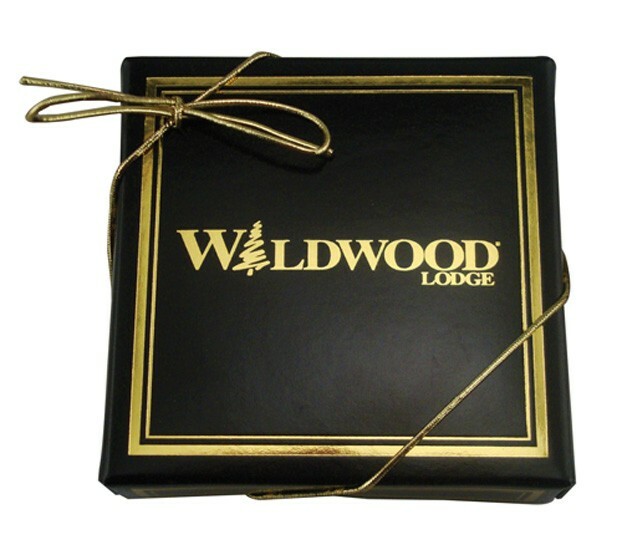 Includes 1 color hot stamp logo or 4-color process label on box lid. Available in milk or dark chocolate versions. 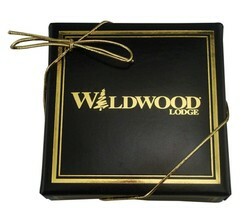 Box available in black, red, gold or white with gold trim or silvwer with silver trim.